Fr. 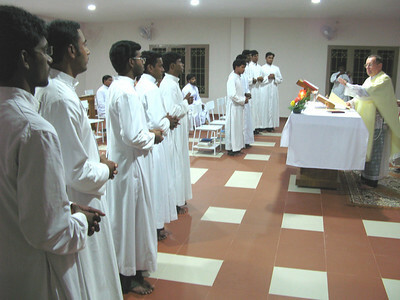 Martin calls forth those who will receive the ministries of Lector and Acolyte. 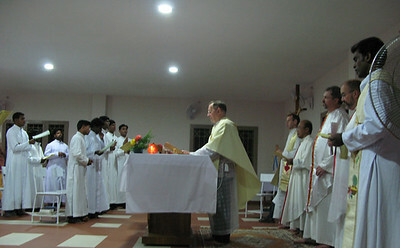 Concelebrants include some SCJ guests from Gorantla, Fr. Valerio and Fr. Mathai. 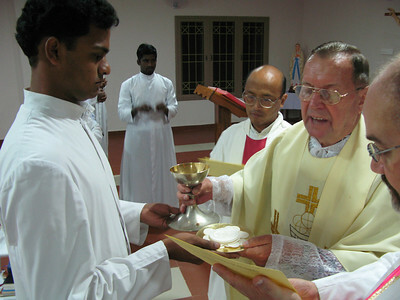 The chalice and hosts are presented to those who received the ministry of Acolyte. 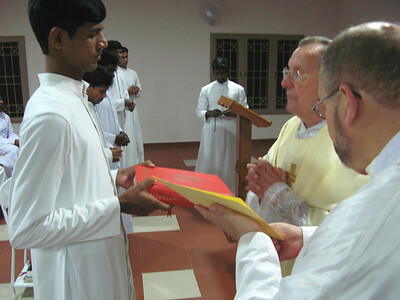 The Bible is presented to those who received the ministry of Lector.